Like New Lakefront Peninsula Model Home in Canyon Trails!! 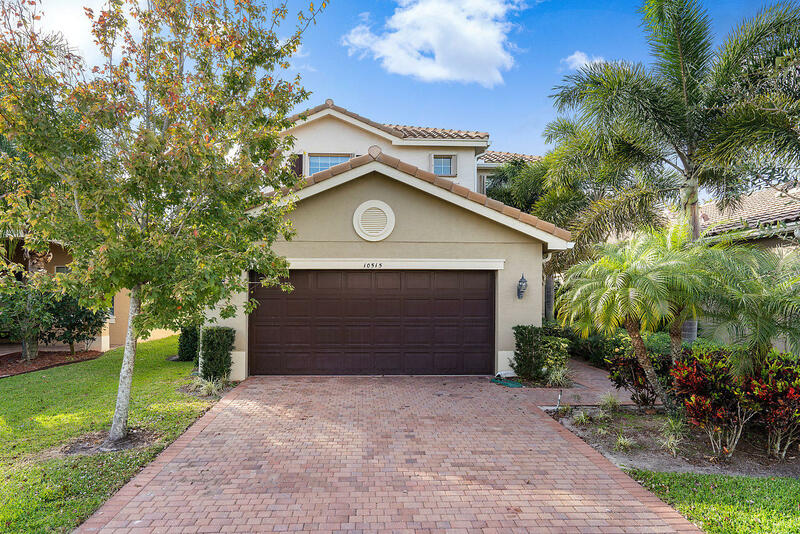 Beautiful upgrades include tile floors, espresso kitchen cabinets, granite counters, wrought-iron staircase, and premium lake lot in a private section of the community at the end of the street - NO ROAD NOISE!! Ground floor has an open floor plan with breakfast nook, living and family rooms, full bedroom and bathroom, and laundry room. Second floor has three additional bedrooms including the Master Suite which offers dual walk-in closets and spacious bathroom with Roman tub, separate vanities, water closet, and glass enclosed shower. Freshly painted interior - move right in! Low maintenance fees includes gated security and resort style amenities such as a fitness center, pool, arcade, kids water park, and much more!